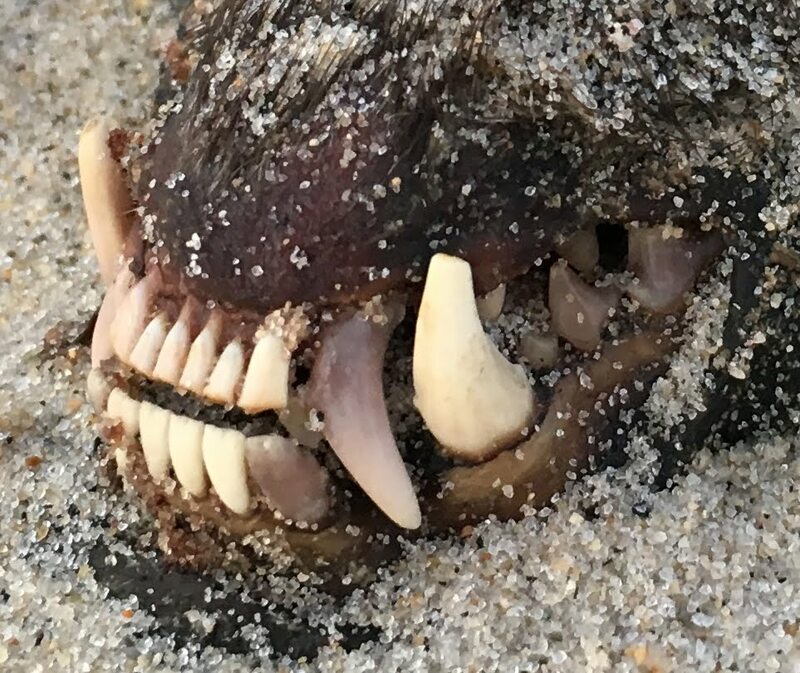 Edit: First named after the Montauk Monster, this new creature's legend shall live on its own rite and heretofore shall be dubbed The Miami Beach Monster! This is a bit of an odd topic for this blog but seems worth writing nonetheless. My wife and I are between homes right now and have been renting in the beautiful Hawk's Nest Beach in Old Lyme, CT. It's been an unseasonably warm winter this year and much has been said about the effects of El Niño. I happen to be a climate change believer (are there any left who aren't?) and think the effects of El Niño are compounded by the changing climate caused by manmade activities. Either way, it is obviously a warmer winter to this point. Last year in this climate, things were a bit delayed as well. As a result of being between homes and living by the Long Island Sound, we've been spending a lot of time walking on the beach. Coastal Connecticut is absolutely gorgeous and many people from the nearby cities of New York, Boston and Hartford have summer homes here. Each morning I've enjoyed taking our dog for a walk on the empty beach, watching the sunrise and looking for treasures that the tides may have brought to the shores. We have a growing collection of shells, smoothly polished stones and beautifully-etched sea glass. But what I happened upon the brisk morning of January 11, 2016 is anyone's guess. It was an unusual morning on the beach, as a higher than normal tide overnight was caused by a storm the day prior. The freshly-smoothed sand rose much higher on the beach and with it was, frankly, a lot of garbage. I spotted children's beach toys, tangles of monofilament line, a plethora of plastic bottle caps and water bottles, glass beer bottles and soda cans in varying stages of decay. This was not the worst of it, however. Peeking out of the sand was this beast. Measuring about 18"-20" in length with fierce fangs and claws, this monster had washed up overnight. 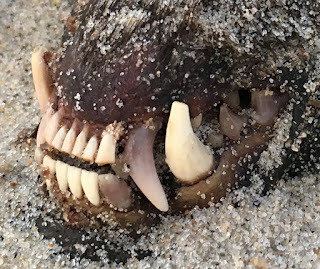 I showed the photos to a friend, Pete Garvin, who has lived in the area for years and he quickly identified this as similar to the Montauk Monster, first spotted in 2008. Unfamiliar with this legend, I did some research and I guess that turned out to be a raccoon... In 2012 the Brooklyn Bridge Monster was found. The folklore and the legend live on in 2016 with this latest sighting, the Miami Beach Monster! 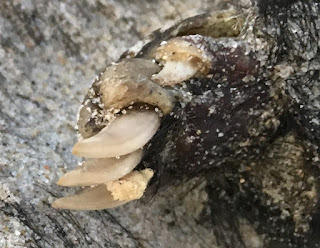 In case folks are worried about this rotting away on the beach, I did take the proper steps of calling the officials to remove it. The DEEP's website suggested contacting the town's Public Works department and so I did. As of yesterday evening, January 12, 2016, this specimen has been removed from the beach and we may just never know what it is! For fun, I sent the photos to WFSB, who posted them online and on their Facebook page. 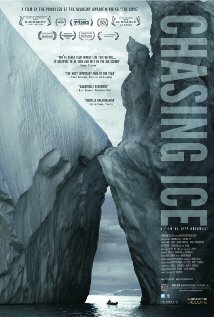 If there are still any climate change skeptics out there, I highly recommend a documentary called Chasing Ice. It's the story of a National Geographic photographer James Balog who captured hundreds of thousands of images over a span of 3 years from 25 cameras mounted in extreme conditions around glaciers in the northern hemisphere. The purpose? To create time lapse videos that put a visual to the retreating glaciers that are indicative of a changing climate and ultimately contributing to sea level rise that scientists have been predicting for years. Not everyone responds to data. The imagery is undeniable. Now, he's set up 8 time lapse cameras in Antarctica to see what's happening at the South Pole. Just like the video of NFL player Ray Rice punching his then fiancé in the face in an Atlantic City casino elevator - the visual evidence is a metaphorical punch in the gut. You need to see this to better understand the changes that are happening beyond the focus of our daily lives. I'm late to the party on this. Chasing Ice came out in 2012. Who knows how much more has changed since then. Please check it out, it's on Netflix and is a little over an hour long - well worth the time. 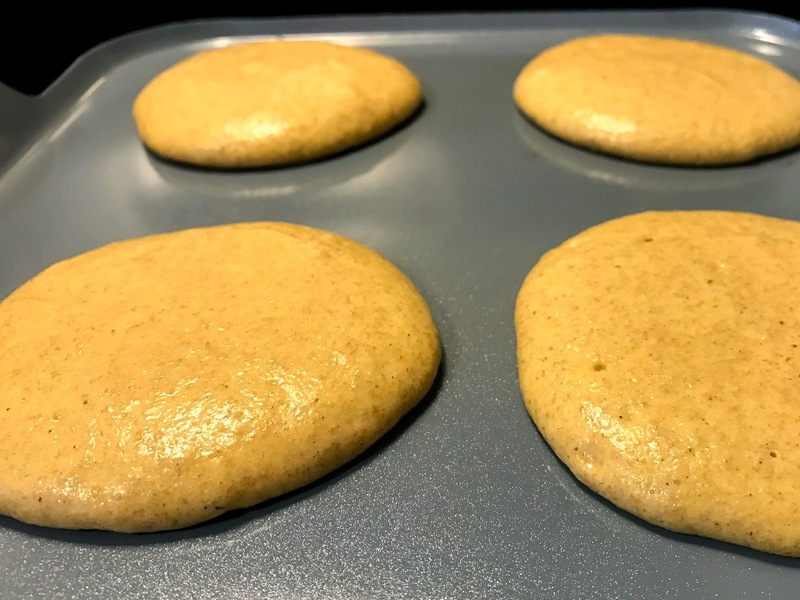 Perfect recipe for a fall breakfast! Whisk together dry ingredients in large mixing bowl. Form a well, or indentation in the middle and set aside. Lightly beat the eggs and then combine with honey, milk and avocado oil. Pour into the mixing bowl and lightly stir everything together while folding in the pumpkin purée. Over medium heat, lightly grease a griddle or frying pan with coconut oil, being careful to watch for the pan getting too hot. It is ready for batter when dripped water quickly splits apart. Ladle the batter into whatever size pancakes you'd like to make. Optional: toss milk chocolate chips into the batter after it is on the pan. Watch for bubbles on the top surface, flip to cook the other side. If desired, drizzle with maple syrup and enjoy! To save time in the morning, mix dry ingredients and store overnight in an airtight container. As everyone is aware, it is snowing a lot in the Northeast this winter. The pictures coming out of Boston, MA are pretty much unbelievable. This, of course, has many folks joking about climate change being a farce. Queue the "Al Gore is fat" jokes from this crowd. That said, snow melts. New England will deal with it. It's a mess, but it ultimately takes care of itself. Unless we can learn to economically desalinate ocean water, I'm not sure how the Western half of the United States is going to deal with this. It's surprising that anyone jokes about any of this any more. Or that politicians haggle over whether or not they 'agree' with scientists. I don't know when scientific evidence became a thing to 'decide' about whether or not to 'believe'. On the third Thursday of every November, we sit around a glorious feast and speak our thanks for the friends and family with whom we share it. We mention those no longer with us and discuss our gratitude for the armed services. We take some time to reflect on life and enjoy each others' company. This year, we cut our meals short and scrambled out to snap up the Thursday door busters because Black Friday has spilled over into Black Thursday. But really Black Friday deals started online Wednesday. When the real Black Friday rolls around, at 2:00am, we dash out to beat the crowds but lines have already formed. Chaos ensues and at the end of the day we have a car full of great bargains and possibly some bruises. Small Business Saturday is lost in the shuffle because Black Friday deals are still available (*while supplies last), and also Cyber Monday starts on Sunday. But it’s not Cyber Monday anymore, it's now Cyber Week. On Cyber Monday, all the brick and mortar stores have re-branded their Black Friday deals to be Cyber Monday specials and nobody has any idea if they have indeed gotten the best deals or not. Then, Giving Tuesday rolls around. A day meant to donate to organizations who are trying to do good in the world. But by now, we are exhausted from all the hunting for bargains, we question our sanity, and hate our society because this type of stampeding for extra deep discounts brings out the absolute worst in people, and we have no money left because we’ve spent it all on material possessions we probably didn’t need but couldn’t pass up. So, were our words spoken on Thursday all for naught? Were they real? How about if Giving Tuesday moves to Thanksgiving Thursday, spills into Friday, coincides with Small Business Saturday, and then takes over Cyber Week. That way, we’ll pre-spend our money on doing good in the world, have less to spend on stuff we don’t need, and don’t have to leave the dinner table. Now, please pass the pie!